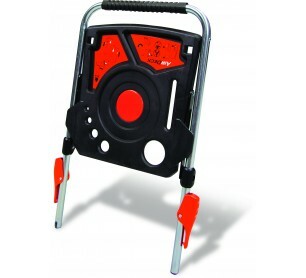 Little Giant Ladders Select Step airdeck - Model 15045-AirDeck. The AirDeck easily connects to several Little Giant products, including the Select Step. 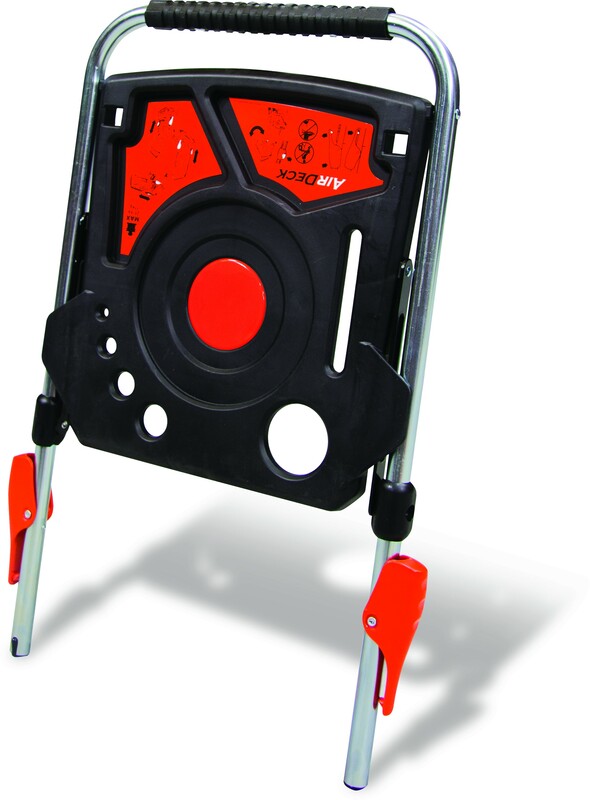 The AirDeck features a multi-use tray for tools and materials and a safety handrail for extra stability. 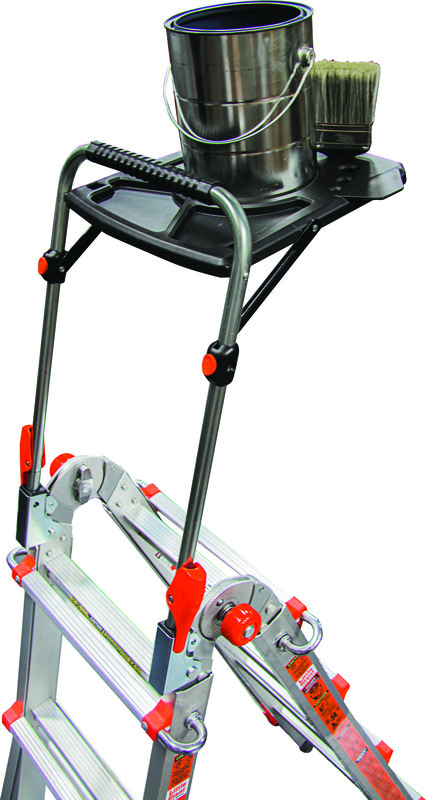 With the AirDeck, you can use the full recommended height of your ladder in comfort and safety. The AirDeck?s utility tray includes slots for power tools, screwdrivers, and other tools - and fitted recesses for all sizes of paint containers (square gallon, round gallon, and round quart). The AirDeck?s work tray is rated to hold up to 15 pounds of tools and materials. Feel secure and comfortable on any recommended rung of your ladder. Keep your tools and loose hardware right where you need them. Increase safety and avoid unnecessary trips up and down your ladder. Save time and work faster by keeping your hands free to use your Little Giant safely.